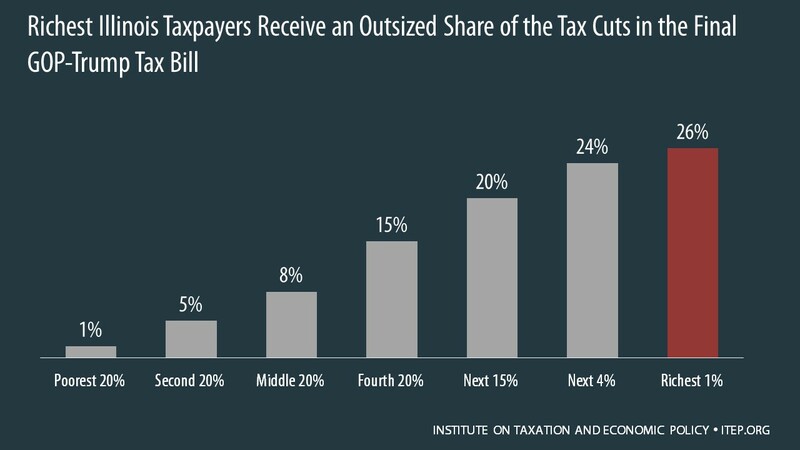 The final tax bill that Republicans in Congress are poised to approve would provide most of its benefits to high-income households and foreign investors while raising taxes on many low- and middle-income Americans. The bill would go into effect in 2018 but the provisions directly affecting families and individuals would all expire after 2025, with the exception of one provision that would raise their taxes. 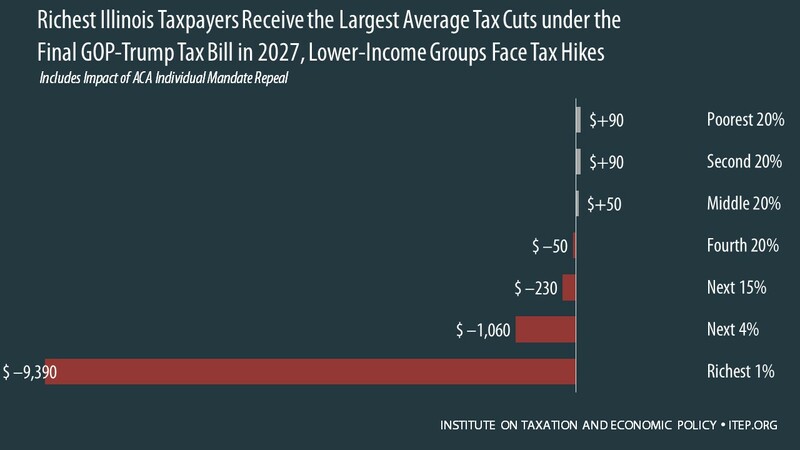 To get an idea of how the bill will affect Americans at different income levels in different years, this analysis focuses on the bill’s impacts in 2019 and 2027. 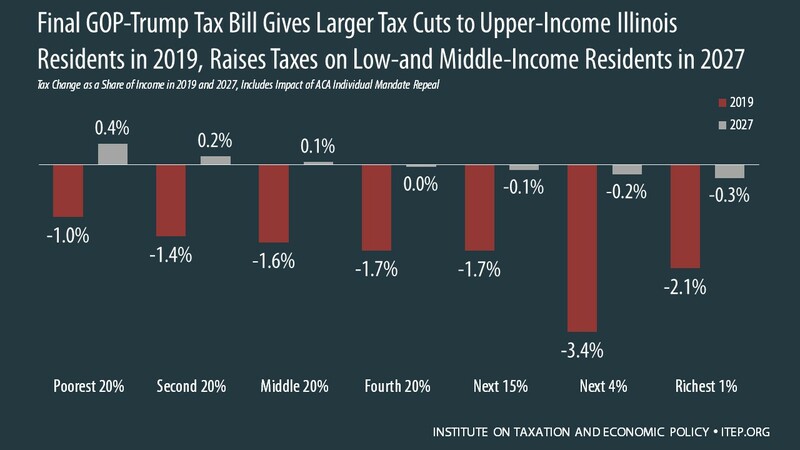 The graphs below show that the tax cuts in the bill are tilted dramatically in favor of the richest Illinois residents while the tax increases fall more heavily on lower-income Illinois families. Additional data on the impacts of the GOP-Trump tax bill on Illinois Residents can be downloaded here.